The greater Everglades ecosystem - Florida’s famed “river of grass” - once stretched as far north as Orlando. That was before South Florida was diked, dredged, and drained to usher in development, agriculture and civilization in the early 1900s. After a series of hurricanes in the 1920s caused Lake Okeechobee to overflow and flood communities to the south, the federal government was brought in to implement flood control measures for the region. By 1933, the earthen 35-foot tall Herbert Hoover Dike encircled Lake Okeechobee, and the Caloosahatchee and St. Lucie rivers were dredged and connected to the lake to provide additional outlets as flood control. Consequently, water that would have fed the Everglades was now diverted into the St. Lucie and Caloosahatchee estuaries. To date, there are more than 1,700 miles of canals and levees in south Florida. To compound the damage, the Kissimmee River was straightened and connected to canals that carry nutrients, pollution, and agricultural runoff from the north. The impacted estuaries rely on a delicate mix of salt and fresh water to sustain sea grass, oyster beds, and a multitude of species that inhabit their waters. Inundated by releases of polluted freshwater, the estuaries have suffered tremendous damage - as evidenced by the recent “guacamole thick” algal blooms impacting Martin, St. Lucie, Palm Beach, and Lee counties. At the southern end of the state, the lack of freshwater has caused a "near catastrophic" seagrass die off due to hyper salinity. Scientists estimate that the Florida Bay has lost 30,000-50,000 acres of sea grass. The blame game abounds in Florida and politicians are quick to criticize the federal government, or their predecessors, or each other for failing to find a solution. The sad truth is that Florida's coasts, estuaries, lakes, rivers, and beloved Everglades are dying. The opportunity to save our state was dealt a major blow in 2015 when Governor Scott, the Florida Legislature, and the South Florida Water Management District ignored an opportunity to buy nearly 47,000 acres of U.S. Sugar land. The problem wasn't lack of funds - Florida voters had already approved Amendment 1 for the explicit purpose of purchasing conservation land. The problem was political, and Florida's decisionmakers caved under intense pressure from U.S. Sugar who opposed the deal. Just last month, Governor Scott accepted another $100,000 donation from U.S. Sugar to his PAC. There is little wonder why Florida voters are skeptical that there will ever be a resolution to their water woes. Buy the land. Restore historic water flows by purchasing land in the Everglades Agricultural Area (EAA). We believe that purchasing land in the EAA is necessary for increased storage, treatment and flow of fresh water to the Everglades and Florida Bay. We support the use of Amendment 1 funds to purchase EAA lands to reduce the harmful releases from Lake Okeechobee and to restore the southern flow of water. Sign the petition here. Support the Waters of the US Rule. Florida is suing to stop EPA’s implementation of the Waters of the US Rule. The Surfrider Foundation strongly supports this science-based rule which restores Clean Water Act protections to upstream wetlands and tributaries. Contact the Governor today and ask him to support the Waters of the US Rule. Fully fund Florida Forever. The Florida Legislature must fund Florida Forever, the state’s land acquisition program, to purchase easements and full fee parcels to improve water storage and water quality in south Florida. Contact your state legislators today. Be a responsible septic system owner. Pump and inspect septic systems every 3 years, or more frequently if you live on the water. Conserve household water and don't pour toxic chemicals down the drain so that your system can treat wastewater properly. More here. Support efforts to connect properties to sewage treatment plants. 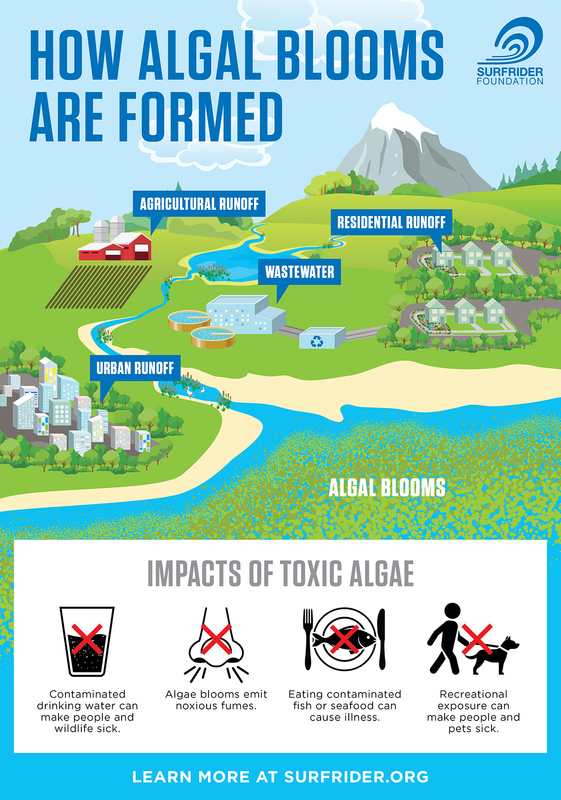 Even when septics are properly sited and functioning, they don’t remove nitrogen from the waste flow (only bacteria, pathogens and some phosphorous) and all of those nutrients will end up in ground and surface waters - causing harmful algae blooms and harming coral reef ecosystems. 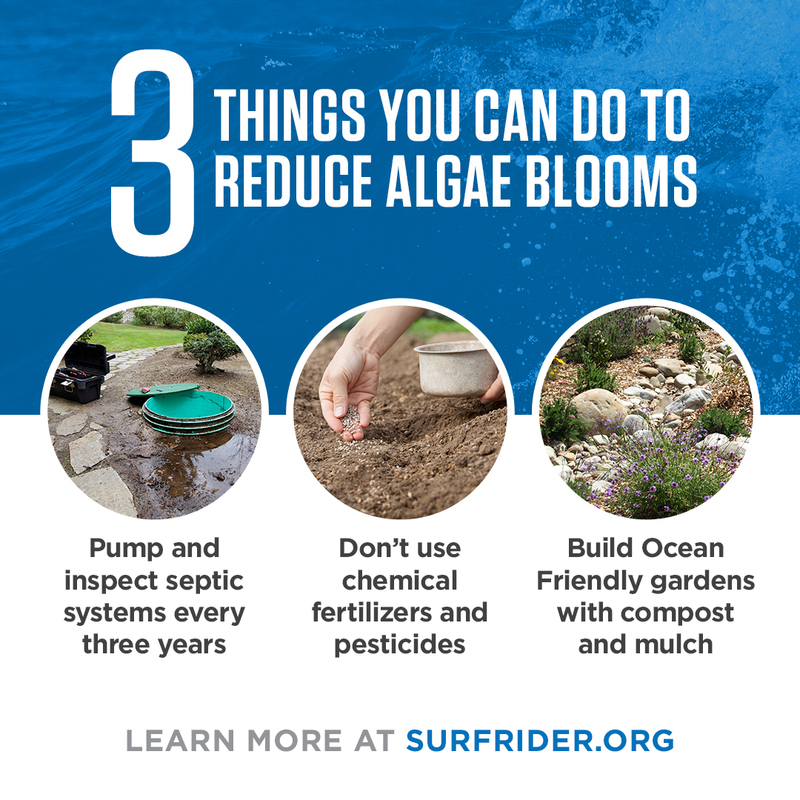 Make your yard Ocean Friendly. Stop using chemical fertilizers and pesticides, pull your weeds by hand and use organic compost and mulch instead. Plant native plants and grasses that don’t need supplemental irrigation when they are fully grown. Build your garden to soak up the rain and leave a natural buffer around the edge of your property, especially if you live on the water to prevent runoff from leaving your property and polluting coastal waters. More here. Buy the land. Work with the state to acquire land in the EAA with the goal of 1 million acre feet of storage and additional treatment to divert discharges from Lake Okeechobee. Contact your legislators. Fund the Comprehensive Everglades Restoration Plan (CERP). CERP was approved by Congress in 2000 to “restore, preserve, and protect the south Florida ecosystem.” Congress must provide sufficient funding to fully fund all authorized CERP projects. Protect upstream wetlands and tributaries. Implement the EPA Waters of the US Rule to protect upstream wetlands and tributaries.